You know how just seeing a really cute photo of someone you love or admire tickles you and you smile or chuckle? Yeah? 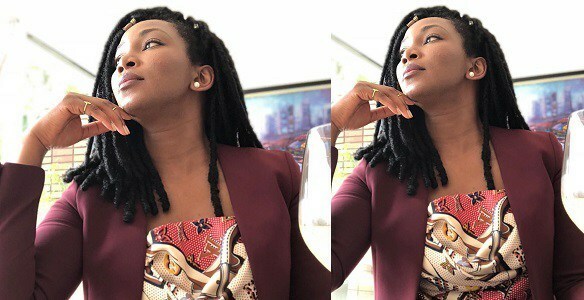 that’s what this new photo of Nollywood actress, Genevieve Nnaji is doing to us. The lovely looked quite beautiful in a recent photo she shared on her Instagram page – donning a Louis Vuitton floral top paired with a burgundy jacket, the lovely had her hair plaited with wool and finished off with a couple of rings and a simple stud earring. This lady defines class y’all! Such a beauty to behold!